BoBoiBoy Fanart 由 my friend. This is awesome *clap clap clap* because my best friend made it. Terbaik!!!. 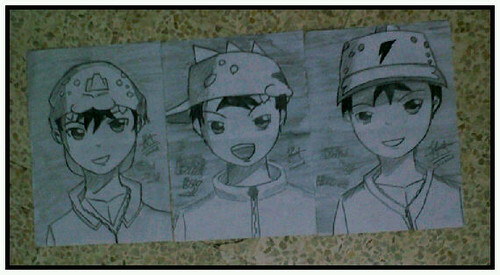 Wallpaper and background images in the 波波仔（boboiboy） club tagged: boboiboy amimosta power of 3 mix fanart.